+++ reading along with the iPad narration. 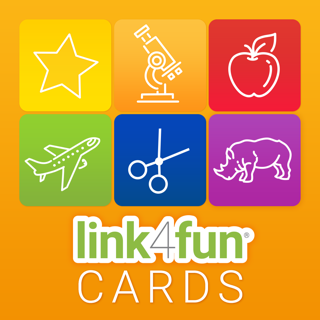 The Link4fun® Food Books App is designed to be the companion app to the Link4fun® Food Books which are available at www.link4fun.com. The full Link4fun® Animal Books Master Pack includes 3 Books … Wild Animals, Farm Animals, and Pets with 6 animals in each book. There are hidden magnets embedded in the pages of the books which allows the compass in the iPad to read which page you are on. 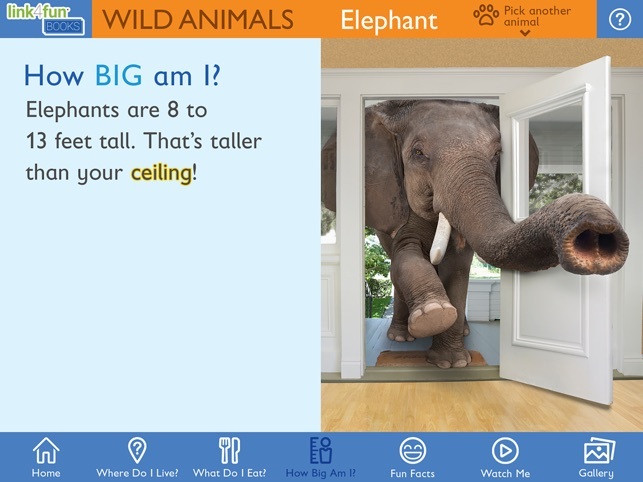 So, when you turn the book page to the Elephant, the app recognizes this and brings up the elephant learning activities. 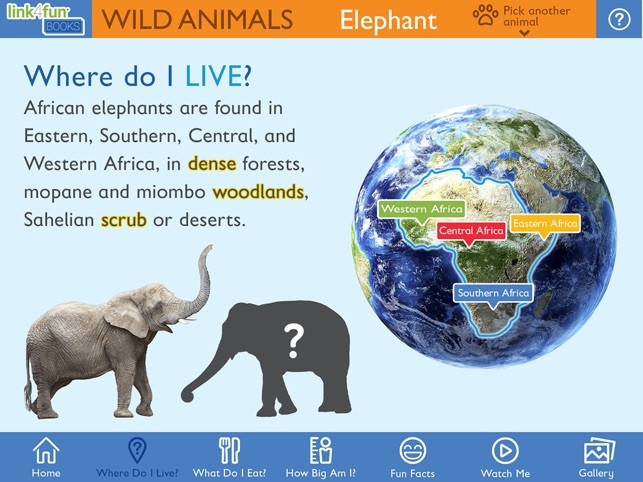 Kids can tap different icons to learn where elephants live, what they eat, how big they are, and more. 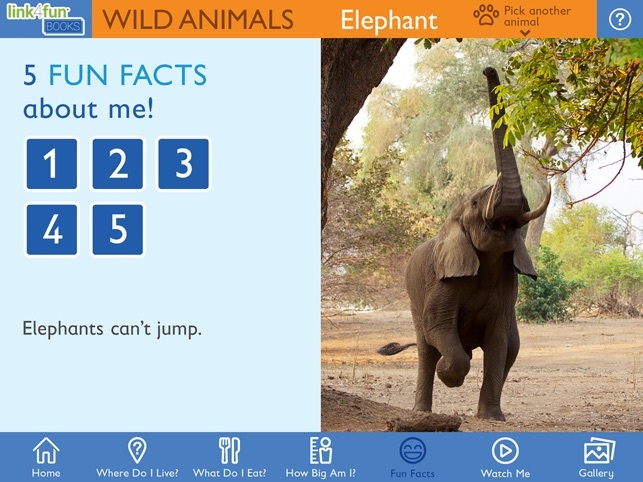 They can even watch a video of elephants in action, and upload their own elephant pictures to personalize the learning experience. This is a revolutionary interactive technology that is not being used ANYWERE else in education. This companion book app links seamlessly with the iPad... no wires, bluetooth, wifi, or any other physical or technical connection is required. Simply turn the book pages and the app comes to life! 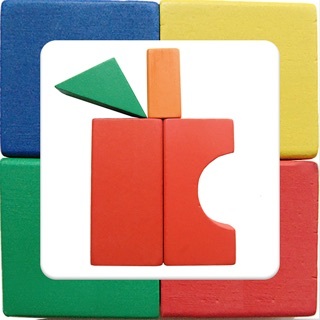 Stages Learning Materials has been creating quality teaching tools since 1996. We all know that learning happens in stages. Learn to crawl before you walk, learn to walk before you run. Language development also happens in stages. 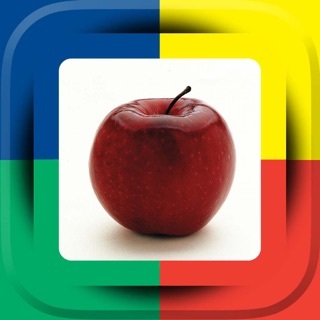 Children learn to match objects first ("put apple with apple"), then to identify objects receptively ("give me the apple"), and finally to identify objects expressively ("what is it?" "it is an apple"). 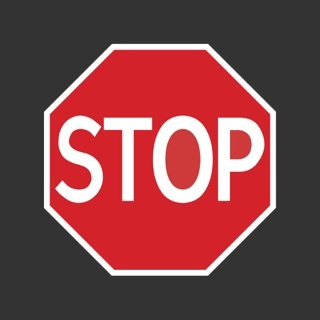 Our products are created to stimulate learning at each stage of language development. 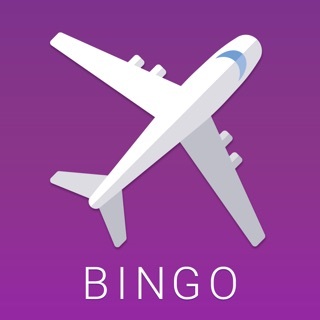 Fun, interactive book and app that my 4 yo loves. 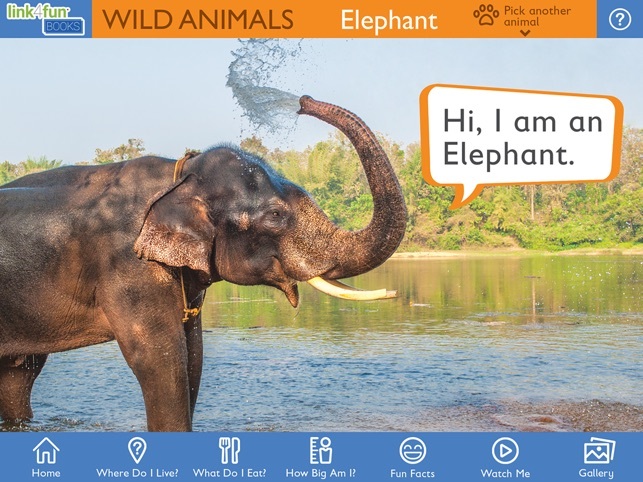 The book and case are sturdy and the app offers a variety of interactive things to do with each animal. My daughter's favorite is feeding the animals. 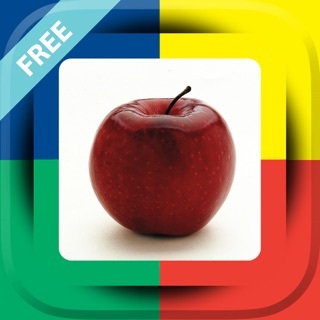 Very cool app that combines kid book with free app. 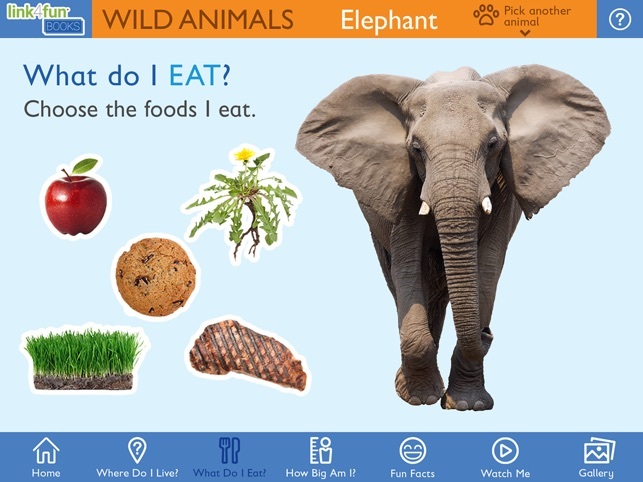 You can have your chil just do app, but much more fun to combine with book! Totally new technology that works immediately. No extra steps.nice! © 2016 Stages Publishing, Inc.